Diljit Dosanjh hopes his work in Hindi film industry paves a way for other Punjabi stars to make it big here. I hope my entry in Hindi films makes it easier for other Punjabi actors to establish themselves in the industry, says Diljit Dosanjh. He is being touted among the most promising newcomers in Bollywood of 2016 and actor Diljit Dosanjh hopes his work in Hindi film industry paves a way for other Punjabi stars to make it big here. The Punjabi superstar is making his Bollywood debut with director Abhisek Chaubey’s Udta Punjab. He is aware of the expectations his home industry has from his debut but Diljit is also quick to add that he wouldn’t want to take credit for any other Punjabi actor’s journey and success in Bollywood. “I hope my entry in Hindi films makes it easier for other Punjabi actors to establish themselves in the industry. But at the same time, I feel whosoever works with good intention and puts hard work will excel. One, who is hardworking, will get opportunities regardless of him or her being from Punjab or any other state,” Diljit told PTI in an interview. His turn as police officer Sartaj Singh in the trailers of Udta Punjab has generated hype, not only among his Punjabi admirers but also Bollywood fans, who have taken notice of the 32-year-old actor in a heavy ensemble that boasts of Shahid Kapoor, Kareena Kapoor Khan and Alia Bhatt. Besides his acting, audience has been going gaga over his rendition of Punbjabi poet Shiv Kumar Batalvi’s Ikk Kudi, in the thriller. Diljit, however, quite modestly says he is not aware of the increased fan following that he has received courtesy Udta Punjab. The Jatt and Juliet actor still feels there’s a long way to go before he becomes a pan-India star. Morever, for Diljit not letting down his home fans with his work in Bollywood is most important. The actor says he hopes the Punjabi audience does not get embarrassed watching him in Hindi films. “According to me, only my Punjabi fans are going to watch Udta Punjab for me. I did the film also thinking about them only. I just want them to be happy with my work. I hope they don’t get embarrassed watching me. On his home front, the actor-singer is gearing up for the release of Sardaar ji 2, the sequel to his last year’s hit Sardaar Ji. 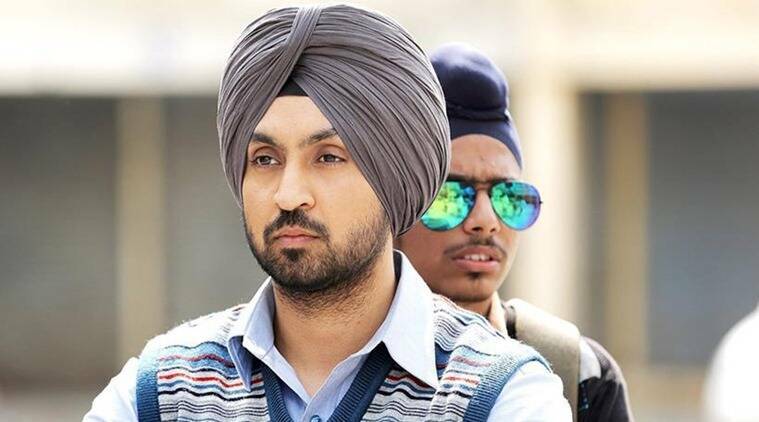 Diljit says he found the story of the sequel much better than the first film and if the movie is received well he would love to have a third part of the Sardaar Ji series. Also starring Sonam Bajwa and Monica Gill, the film is slated to release on June 24.